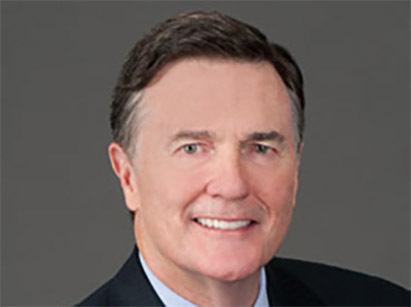 Dennis Lockhart | HOPE Global Forums | Presented by Operation HOPE, Inc.
Dennis Lockhart’s career includes time in the private sector, academia, and government. He is currently a Senior Fellow in the Mossavar-Rahmani Center for Business and Government at the Harvard Kennedy School. He is also a Distinguished Professor-of-the-practice in Sam Nunn School of International Affairs at Georgia Tech and a principal in Navigation Capital Partners, a private equity firm. He recently stepped down from the position of president and CEO of the Federal Reserve Bank of Atlanta. In this role, Lockhart served on the Federal Reserve’s chief monetary policy body, the Federal Open Market Committee (FOMC). Within the Federal Reserve System, he chaired the Conference of Presidents for his final two years and earlier chaired the Information Technology Oversight Committee. Before becoming a central banker, Lockhart was a member of the faculty of Georgetown University’s Walsh School of Foreign Service where he chaired the Masters program’s concentrations in global commerce and finance and international business–government relations. He taught courses focused on global business strategy, international finance and investment, project finance, and business-government relations. He also was an adjunct professor at Johns Hopkins University’s School of Advanced International Studies. Simultaneously, he was chairman of the Small Enterprise Assistance Funds, a sponsor of emerging markets venture capital/private equity funds. Earlier he was managing partner of a boutique private investment firm with activity in Africa and Latin America and president of Heller International Group, a financial firm with activities in commercial finance in Europe, Asia, and Latin America. In 2000, he chaired the Advisory Committee of the U.S. Export-Import Bank. At the start of his career, Lockhart held various positions, both international and domestic, with Citicorp/Citibank (now Citigroup). He worked in Lebanon, Saudi Arabia, Greece, Iran, Latin America and the southeast United States. He was Citicorp’s senior corporate officer and head of corporate banking for the southeast domiciled in Atlanta. Lockhart was born and grew up in California. He was educated at Stanford University and the Johns Hopkins University School of Advanced International Studies. He also attended the Senior Executive Program at the Sloan School of Management, Massachusetts Institute of Technology, and served as an officer in the U.S. Marine Corps Reserve.